The PBE has been updated! 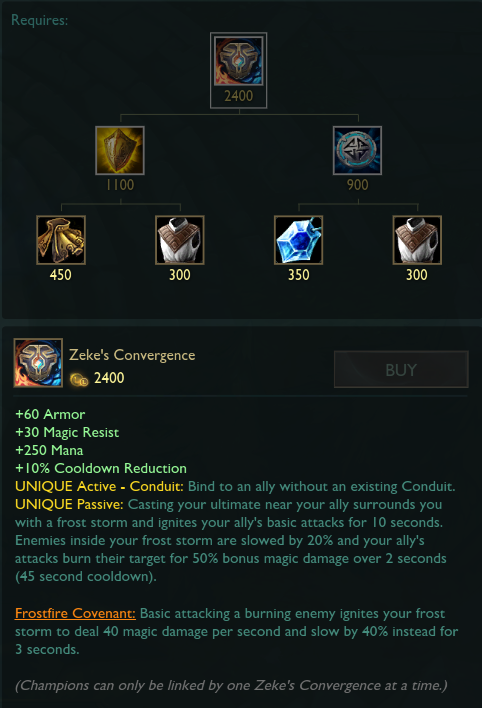 As the 7.13 PBE cycle winds down, tonight's small update includes tweaks to the new Zeke's Convergence item icon + buff bar icons. 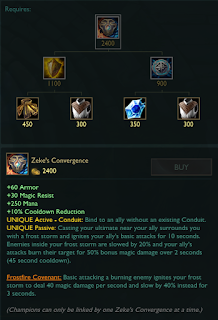 Today's update includes tweaks to the new Zeke's Convergence icon that debuted in a patch earlier in the cycle, going along with the new effects from 7.12. Buff bar icons featuring each half of Zeke's Convergence also added - one for self and one for ally. 3) With 7.14 PBE on the horizon, Meddler has also mentioned upcoming potential changes for Cho'Gath, Lethality items, death sounds, and more over on the boards. [7.13 PBE Cycle Coverage] - SKT Skins for Ekko, Jhin, Nami, Olaf, Syndra, & Zac, SKT kkOma ward, new summoner icons, Zeke's Convergence icon, balance changes & more!